In the age of fast cars and skyscrapers, the true purpose of technology seems to occupy the space of a forgotten footnote. Even with the awareness surrounding global warming and with depleting sources of energy, most societies have not wholly adopted a model of living that is in tune with the delicate ecology they inhabit. Thankfully, there are a few places that serve as a beacon of hope of sustainability. Tucked away in the northernmost state of our country, in the high altitude mountain-deserts of Ladakh, 18 km from its capital and occupying about 20 acres is the Students’ Educational and Cultural Movement of Ladakh (SECMOL). 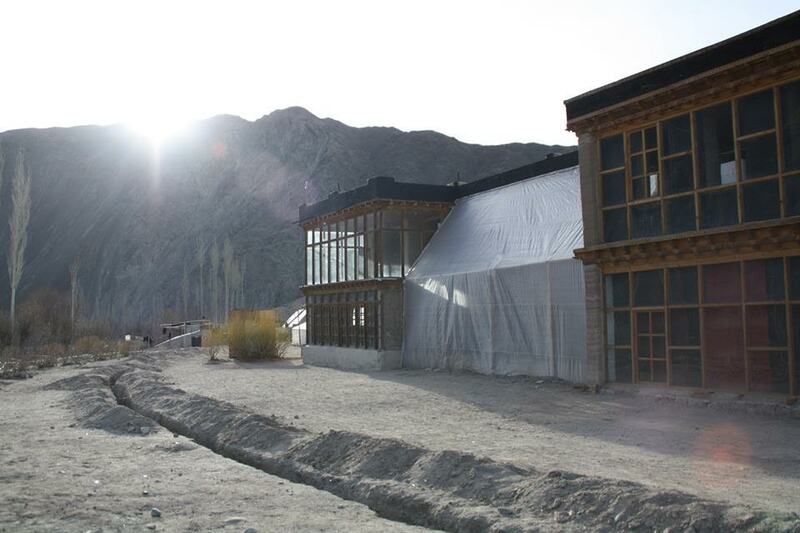 The school, started by Sonam Wangchuk and five Ladakhi university students from diverse backgrounds in 1988, seeks to reform education in the remote region. 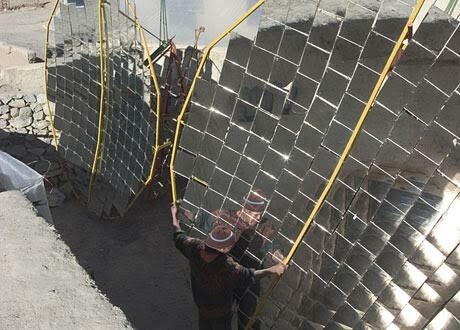 As more than 95% of students in Ladakh used to fail their 10th Board exams, they believed that the problem lay in the system as opposed to the students. Apart from being taught in a language they barely understood, the textbooks had concepts and examples drastically different from the environment they lived in. SECMOL sought to address these problems and educate the young Ladakhis with concepts relevant to their fragile desert region – the model of a sustainable life. The school, run by students whose responsibilities change on rotation, utilises solar energy for daily domestic needs. It houses 70 students on average per year and seven staff members. At SECMOL, solar power is used to run almost all devices. The wall sockets draw energy from the batteries that store power using sun’s energy during the day. The buildings themselves have also been constructed in keeping with the idea of using modified designs in infrastructure instead of buying expensive materials. For example, the structure is made of rammed earth which is able to keep the warmth in during the winters and provide ventilation in summer – the same earth that was accumulated as mud when the foundation was dug. The windows face south and so receive sunlight all year round, providing natural light during most of the day. Additional skylights in the main halls make sure the interior is not gloomy. 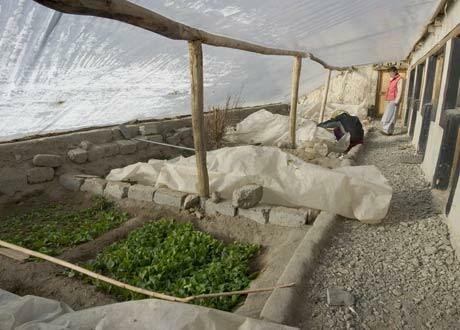 For warmth, makeshift greenhouses outside the windows (sheets of ultraviolet stabilised plastic that can be pulled down during winter to trap the heat in) keep a warm temperature inside even when the mercury slides as low as -20 degrees Celsius. The ceilings and the walls are also insulated – excess sawdust – between the inner and the outer panels to trap the heat. Another way solar energy has been utilised is for cooking. The setup consists of a parabolic reflector (made up of a lot of smaller mirrors stuck to a dish-like structure) that concentrates the sunlight on a smaller area on the ground. This is then reflected upwards to the bottom of any cooking vessel and is thus able to use sunlight directly without the need of any semiconductor material. The cherry on this green cake though is the concept of having their own time zone. This small institute has initiated the practice of moving their clocks ahead by one hour during the summer, calling it “SECMOL time”. This maximises all their other efforts by a significant amount since it ensures all the students, teachers and volunteers wake up and retire in the evening earlier than usual and are able to make the most of daylight. Wangchuk confesses that this is his favourite solar device. Nothing goes to waste in this place. 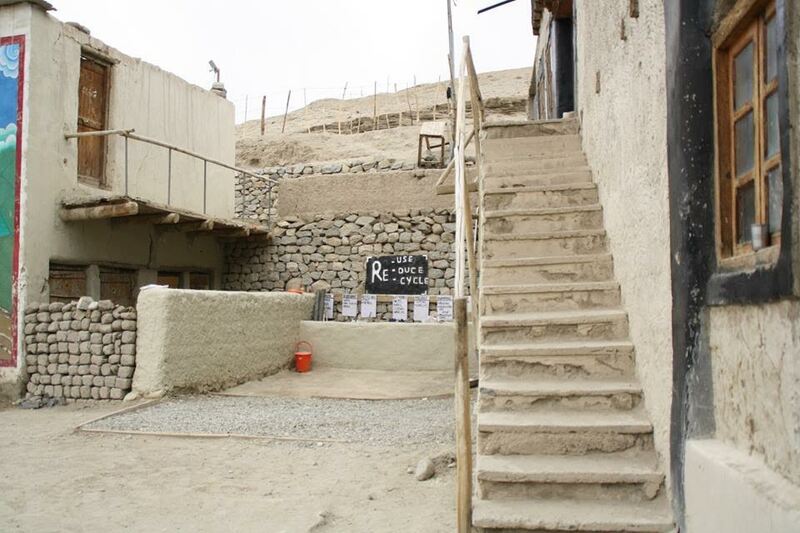 The excess food goes to the cows; the dry Ladakhi toilets ensure that the human waste is used as compost; the excess water from the bathrooms goes to the trees and the rest of the waste is segregated into five different sections depending on how reusable or recyclable they are. In fact, the only time a discreet amount of plastic came into view was an old 500 ml soft drink bottle full of sand being used on a pulley, instead of the spring-loaded hinge, to shut doors. With the rising demand for clean energy, SECMOL represents the idea of environment consciousness that goes hand in hand with development. If an urban household uses 2-5 kW of electricity on average every day, SECMOL produces and uses 15 KWh of solar electricity for the entire school without sacrificing convenience.